If you’re looking for an alternative to a changing station, the OBaby Stamford Cot Top Changer is the perfect solution. The changer is compatible with most cots and cotbeds and is fitted by using a simple and secure velcro strap. The changer is designed to hold a changing mat and its smooth surfaces mean that it’s easy to clean. OBaby nursery furniture is a blend of quality, style and reliability. With an elegant carved scroll design, the Stamford range has a timeless feel and is a contemporary choice to furnish a nursery. 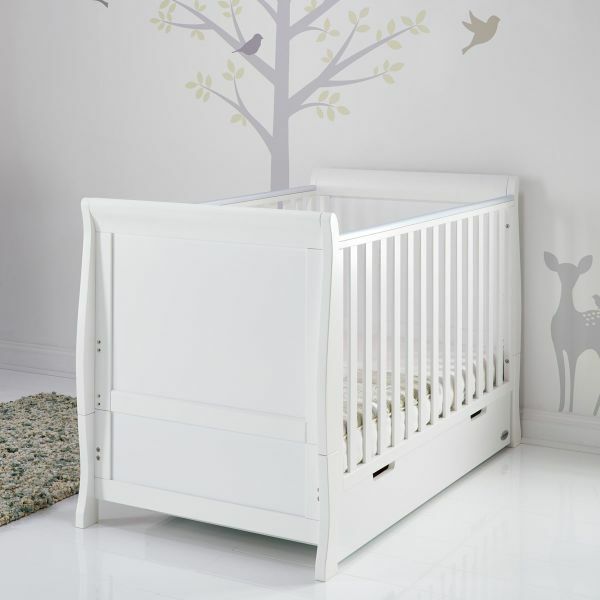 Carefully crafted from solid New Zealand pine, the cot top changer is available in a choice of white, warm grey and taupe grey to compliment any colour nursery scheme. The Stamford Cot Top Changer is delivered fully assembled within two weeks. OBaby offer a free 5 year guarantee when you register your purchase with them within 28 days. If you’re looking an alternative design, the Obaby Stamford range includes a changing unit.